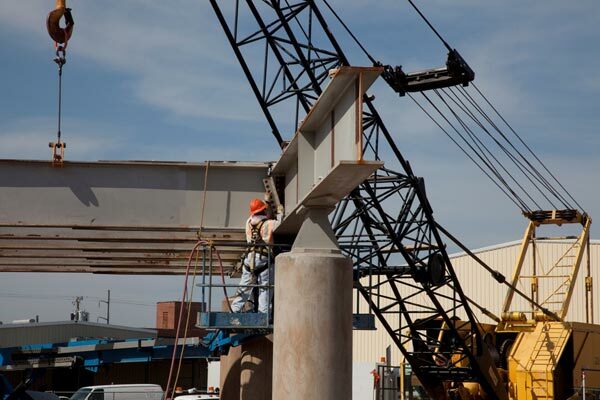 Oklahoma’s $9.66 million Bridge Beam Recycling project on I-40 Crosstown in Oklahoma City proved to be an innovative solution to recycling old bridge materials. This was part of the larger $600 million I-40 replacement project. The recycling project benefits residents throughout Oklahoma by constructing safer bridges through recycled beams, saving money. While the I-40 Crosstown project was a major improvement for those utilizing I-40 in the region, Oklahoma faces the challenge of addressing more than 14, 000 bridges that are in critical condition. ODOT used around 2,000 beams from the deconstructed I-40 highway bridge deck. Following inspection they were sent to counties for local bridge reconstruction. To date, hundreds of beams have been requested for use on dozens of bridges across the state. The initiative is a major investment for the state’s rebuilding and rehabilitating efforts. The project was completed ahead of schedule, with nearly all beams suitable for re-use and is the largest transportation recycling project in the state’s history.